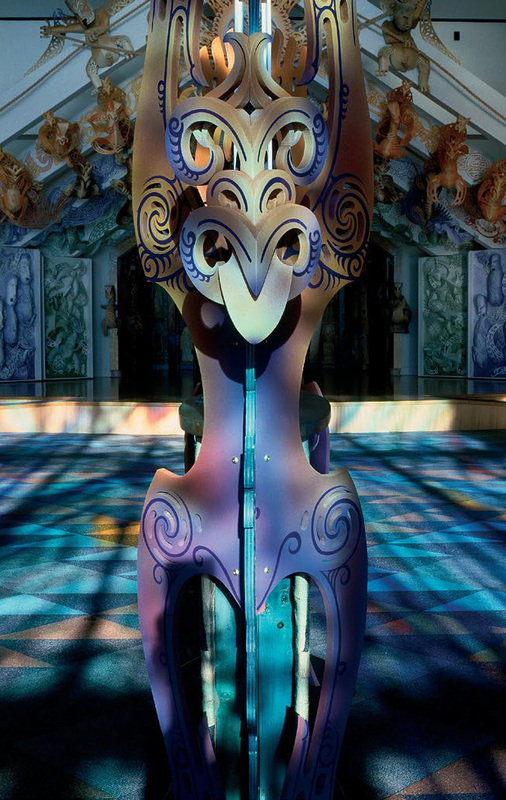 Te Papa is New Zealand's bold and innovative national museum and a recognised world leader in interactive and visitor focused museumexperiences. As well as being a six level museum that showcases New Zealand's national art and treasures, it is also a unique conferenceand events venue that combines serious business with outstanding hospitality. The stunning waterfront location puts Te Papa at the heart of Wellington, and provides plenty of natural light and lovely harbour views. Te Papa is close to all major hotels and public transport and offers plenty of onsite parking, so your guests will find us easy to get to. Te Papa offers you the opportunity to combine unique museum experiences with your event, and has a number of experienced in-house teams delivering a range of products and services. The Wellington Foyer is Te Papa's premier large venue space and ideal for the Gala Dinner. There is no private function room or event space in Wellington quite like this—a mighty room at the heart of Te Papa, six storeys high with granite floors and a huge circular window framingever-changing views of the city. It is unbeatable.